German media reports of a possible two-year Brexit transition period – a draft text from EC president Donald Tusk suggests the EU is starting to prepare post-Brexit trade talks – saw the pound leap yesterday evening. Sterling maintained its re-booted strength overnight. At close to 7am it was up +0.43% at $1.3277. Quite a turnaround from reports of Michel Barnier stalemate yesterday. Business leaders – including Vittorio Colao, head of Vodafone and Emma Walmsley, boss of GSK – have told Theresa May that a transition period is a priority. Important CPI and retail sales numbers from the US emerges later on; retail sales are expected to see a lift from hurricane-impact regions, plus sales boosts for new cars and building supplies. The euro was -0.11% down at $1.1844 earlier though there are reports of the ECB snipping quantitative easing purchases in the first half of 2018. Overnight in Asia the Nikkei accelerated past the 21,000 threshold, up +0.91% overall despite the yen rising modestly. 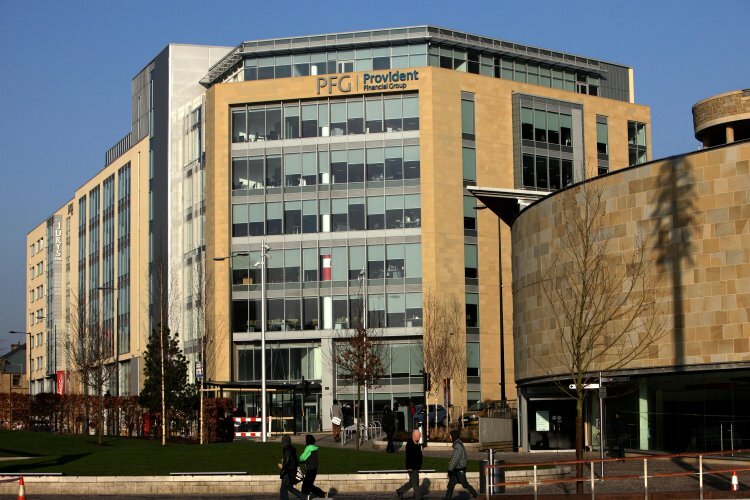 First, a quarterly update from Provident Financial, beset by recent profit warnings, the axing of its dividend and the exit of its chief exec. The home lender says progress to date “is in line with the recovery plan”. It’s still expecting a pre-exceptional loss for the Consumer Credit Division in the range of between £80m-£120m for 2017. So not much change. Collections performance in September was 65%, up from 57% in August, whilst sales were approximately £6m per week lower than last year compared with £9m during August, Provident says. Its Vanquis Bank arm has delivered “good growth” it claims with new account bookings +5% higher than last year in the third quarter. The hunt for a new CEO to replace ex boss Peter Crook is still on. Provident Financial shares remain -75.2% down on a year ago at 798p. Global engineering operator GKN said it expects pre-tax profits to be “slightly above” 2016. However two claims will likely see a charge of around £40m in the last quarter, hitting overall margins. One charge is linked to GKN Driveline, the other to GKN Aerospace. Trading in the third quarter for aerospace “has been disappointing with a significant reduction in margin caused by on-going pricing pressure, continuing operational challenges and the impact of programme transitions". Boss Nigel Stein says Redditch-based GKN continues to grow “although recent margin performance has not met our expectations. In addition, it is disappointing that we expect to have to provide for two unexpected claims which will slow our steady growth in profits.” GKN shares are up +6.24% year-to-date at 352p. Breaking news: Bayer is to sell part of its seed business to BASF for €5.9bn though the deal remains conditional on Bayer's Monsanto acquisition. Aviva says it's quitting the Taiwanese market, offloading its 49% stake in First Aviva Life to JV partner First Financial Holding. Mobile 'phone coverage in the UK has been slated as "deplorable" by national infrastructure chairman Lord Adonis.